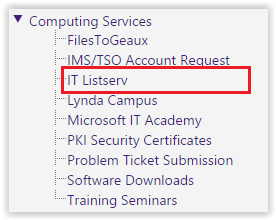 LSU Faculty and staff can sign up for the LSU-ITINFO LISTSERV through the myLSU Portal. This will allow ITS to notify you through e-mail of any IT events, major changes, planned and unexpected services outages, and emergency information. 2. 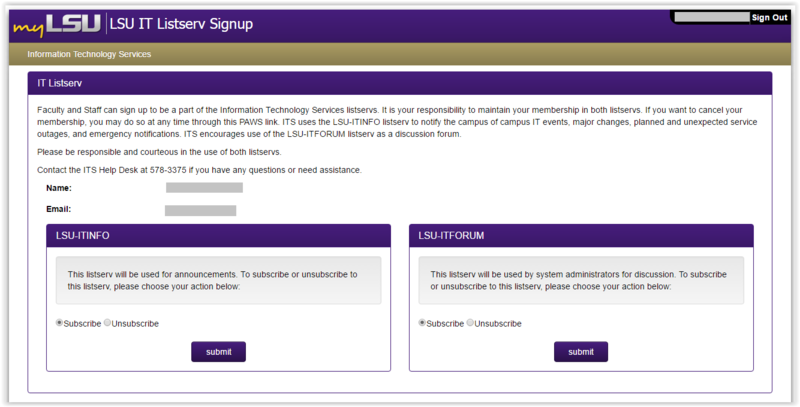 On the left panel, open Computing Services | IT Listserv. 3. Complete the form and click Submit at the bottom of the screen.